The present Japanese Emperor Akihito live in the Imperial Palace in the center of Tokyo. Japanese mythology tells us that the first Emperor is form 660 BC and that Emperor Akihito is related to him. The Emperor was made the symbol of Japan after the Second World War. This was during the time of Emperor Hirohito, the father of the present Emperor. 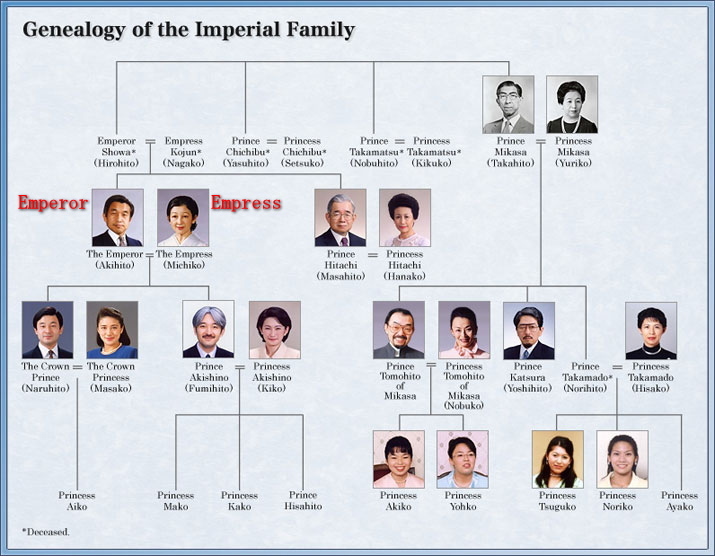 The Imperial Family of Japan today has seven family units. One of these is the Emperor’s Family, which includes the Emperor, Empress, Crown Prince, Crown Princess, and their daughter. Tokyo will host the 2020 Summer Olympics.